Sou | 7:09 AM Feel free to comment! 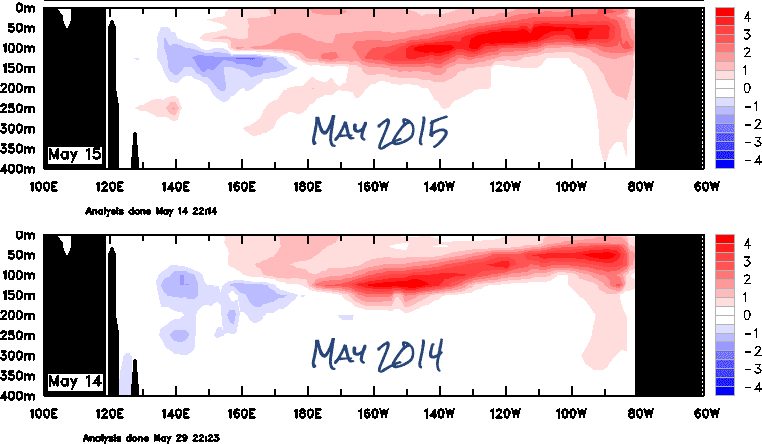 A few days ago I wrote about the newly announced El Niño - here and here. I've played with some charts that might be of interest. The ones below show the vertical temperature anomaly sections of the Pacific at the equator, which I've copied from the Bureau of Meteorology charts, and animated. The first one shows the changes from January last year up to May this year. The charts go down to a depth of 400 metres (that's 1,312 feet 4 1⁄32 inches for the metrically-challenged :D). If you think that this May looks a bit like May from last year (2014), then here they are for comparison. The water is warmer for more depth this year. 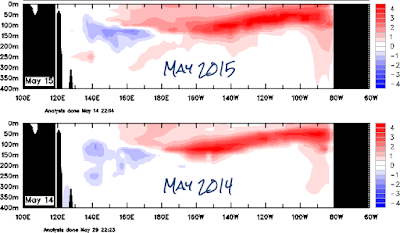 Below are sea surface temperature anomalies since mid-January this year, from NOAA. You can see the surface warming in the east, with the reddish colour centre right of the chart in April and spreading in May. 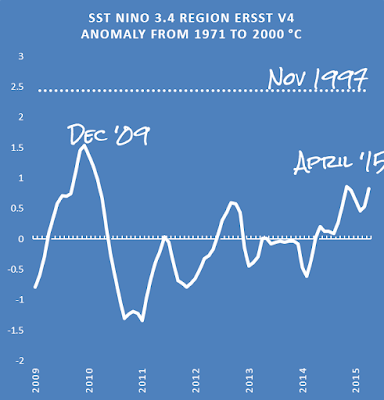 The final chart is the monthly sea surface temperature for the Niño 3.4 region, from ERSST v4. 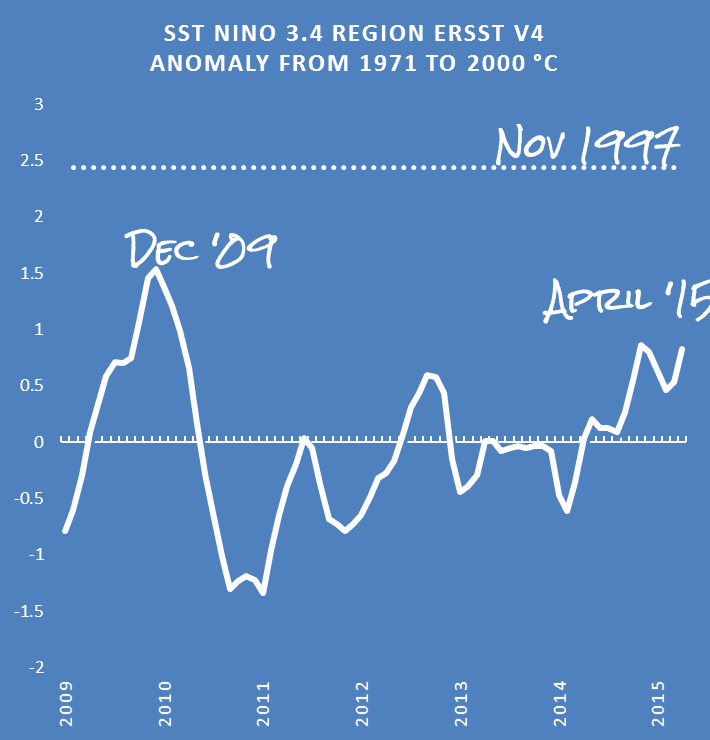 It takes in the most recent El Niño in 2009-2010, and the maximum monthly temperature reached in the 1997-98 El Niño (Nov 07) is shown above.